The one thing we all want to avoid is for our business to come to sudden halt because of a glitch in our payment processing. Having your account limited, frozen or possibly closed can put any small business at risk of losing sales and possibly the shutting of its doors. Most believe this happens with PayPal only, but the truth is that it can happen with any payment processor and not just PayPal. All payment processors monitor accounts for suspicious activity and there are certain red flags that will trigger the possibility of limited, frozen and the closing of your account. The best way of course not to have a problem is to avoid raising these red flags and to have another payment processor that you are using to avoid a complete shutdown of your operations just in case it should happen. Take a few moments here to understand and then be knowledgeable enough to know how to avoid the possibility of problems with each of your payment processors. You should also know the difference between a merchant account and one such as PayPal. When you sign up with a payment processor like PayPal, you are put into a pool of many with the same calculated risk; therefore your risk is determined by what others do or by the history of what others have done. This is also why your credit is not considered when opening an account with PayPal. With a merchant payment processor, your risk is calculated on your credit history and the type of business, therefore less likely your account will be limited, frozen or closed. Banks are regulated and have to abide by those regulations due to monies being held and invested. A service like PayPal functions under a structure that enables merchants to create an account with little more than an email and a quick verification of identity and location. The monies with PayPal are free flowing and there are fewer rules for free-flowing money than there are for money that is held and invested. A payment processor is a system that connects the merchant’s bank to the cardholder’s bank and credit cards’, making sure that the money is transferred properly, ending up in the right place. If you want to avoid your PayPal business account being limited, frozen or closed, then you want to avoid these actions. This is just a partial list but these are the most common reasons. Receiving an elevated number of claims and chargebacks from your buyers is an indication of poor seller performance. Using a proxy. Trying to hide your real IP address will immediately raise suspicion. So avoid using a proxy at all costs. Use a business email address. Don’t use your personal PayPal account. 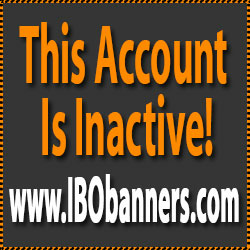 Get a business account. It’s free and only takes minutes to sign up for. What type: card-present (retail) and card-not-present accounts (internet) or both. Breaking any of the rules in the service agreement can result in a merchant account hold, freeze, or termination. Carefully read the fine print and be completely honest and forthright in your disclosure of all aspects of your business. In your description of your business services and/or products is extremely important. Going outside the realm of those declarations can result in immediate repercussions by the processor. Keep your processor notified of items being added to, or removed from, your inventory. The same can be said of businesses selling services. If you run a golf supply store during the week and give golf lessons on the weekend, separate the two and have a separate merchant account. Identity theft is the fastest growing crime. Credit card fraud is high and your provider will monitor your transactions for any signs of unusual behavior. When fraud is suspected, your account will be frozen pending an investigation. In conclusion, you should offer alternative ways for your clients or customers on payment. PayPal is accepted by most and for good reason and should be offered. But to protect your business from circumstances like limited, frozen or closed accounts, consider diversifying and establishing another payment processor account and use both to maintain a balance between the two. Loyalty and Gift Cards Available!